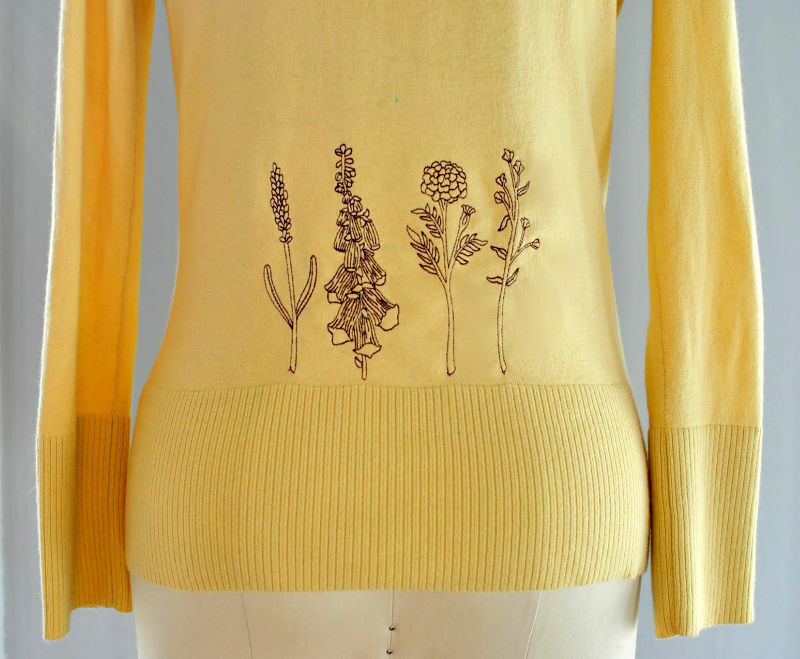 One of my favorite things about machine embroidery is being able to update or customize clothing. 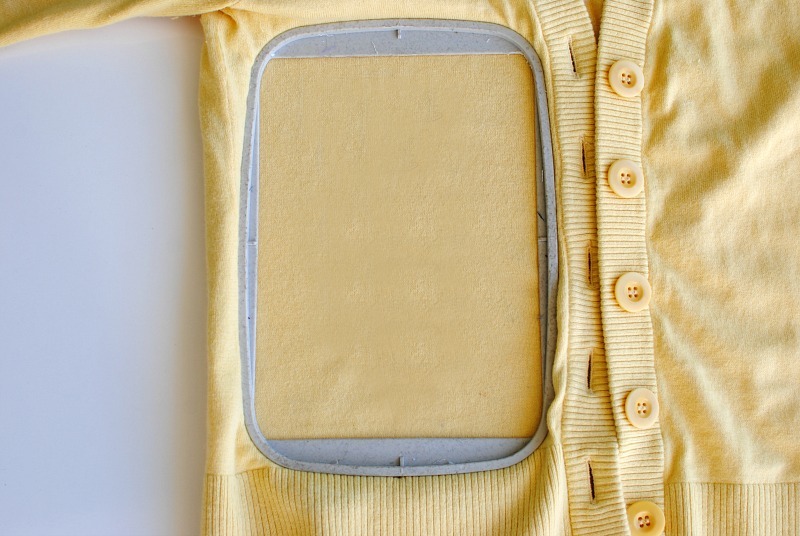 You can give basic or old garments a refreshing new look this way. 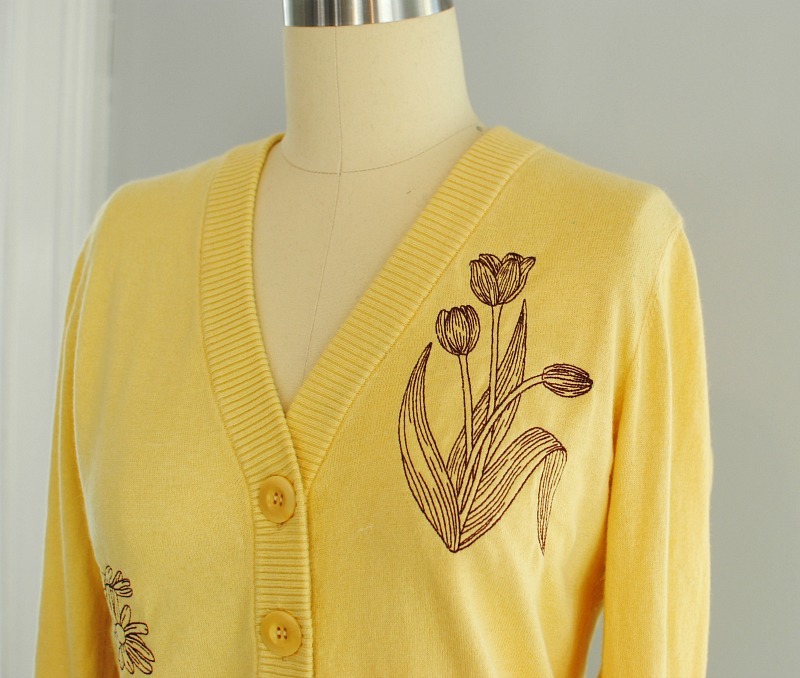 I had this cardigan in the "transform" bin for awhile now and was looking for a nice embroidery collection to add to it. 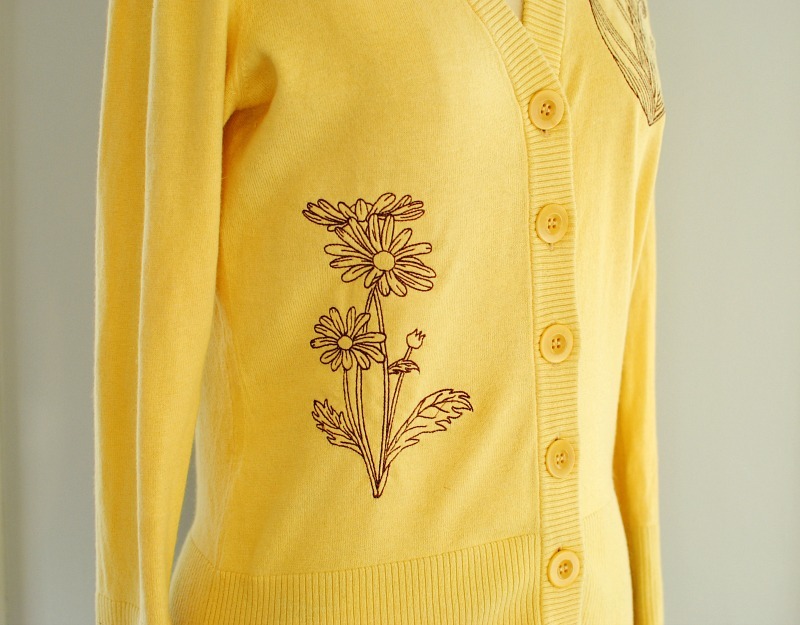 When it comes to embroidery on knits I prefer designs that don't have a dense/high stitch count due to the nature of knit fabric. 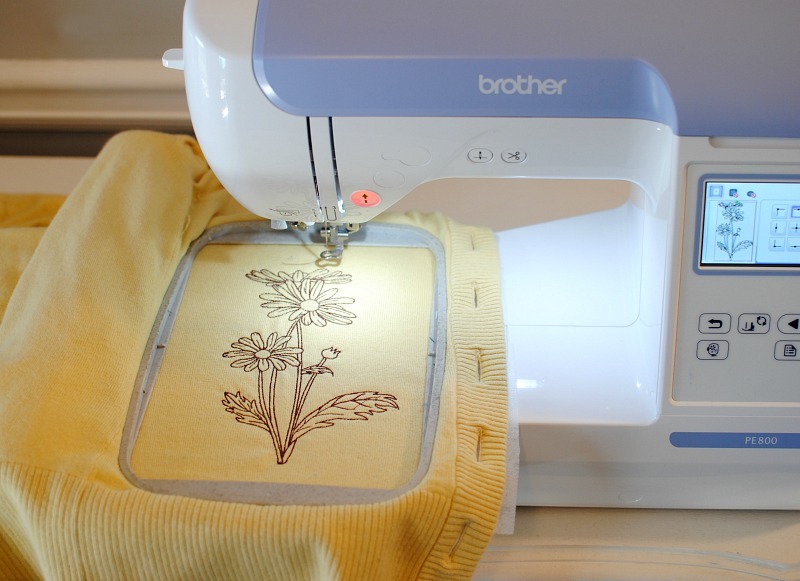 I typically look for embroidery designs like these floral patterns that have an airy, open design. This Botanical Beauty collection would be adorable on just about anything from t-shirts to linen towels. They're very quick and one thread color! 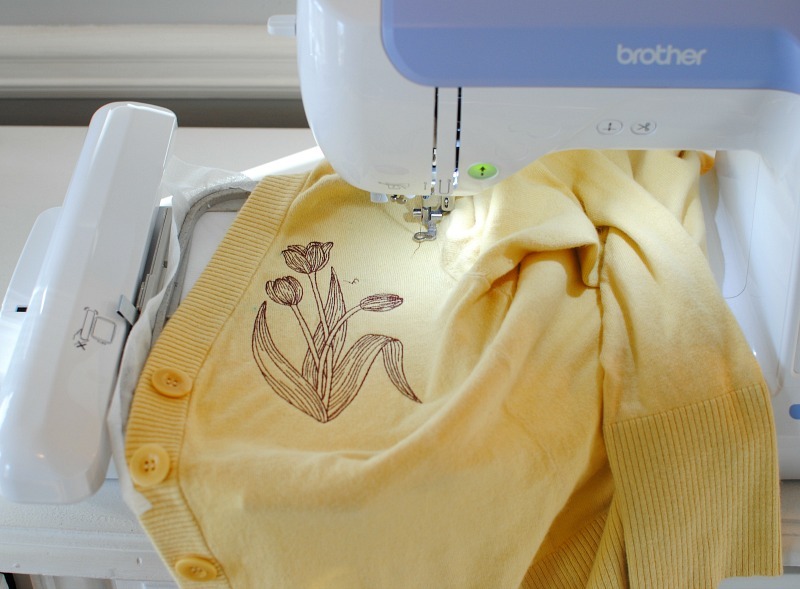 Get the details below on how to embroidery onto knit projects. 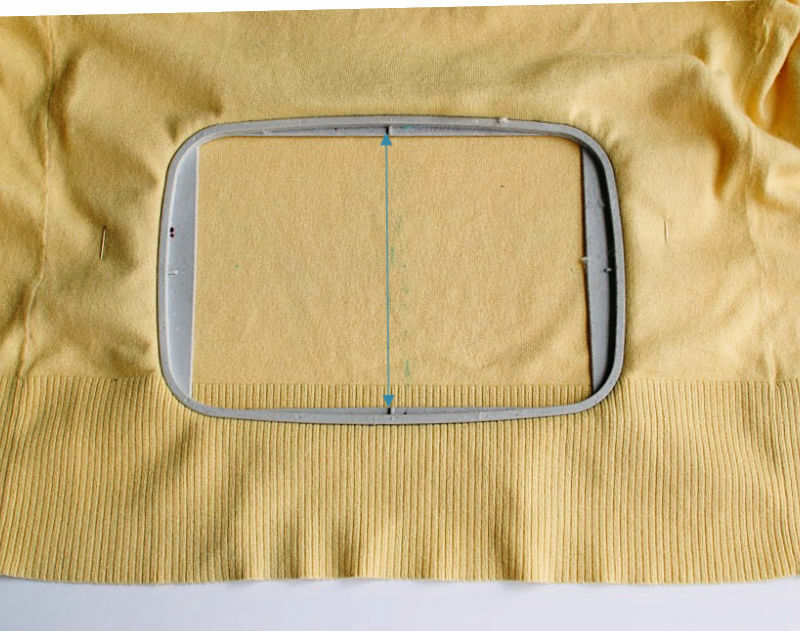 You can also use this tutorial for t-shirts and other light weight knit garments. The first thing you want to keep in mind is design which I mentioned above. When picking out a design for a knit material you want something that has an open, light design. Dense designs may be too heavy for the knit fabric. This can result in wrinkles, puckering, and a heavy appearance. Marking the proper placement is ideal. I like to embroidery a sample and or print out a template of the design and use it as a guide. This way you can adjust the size and placement to your desire. 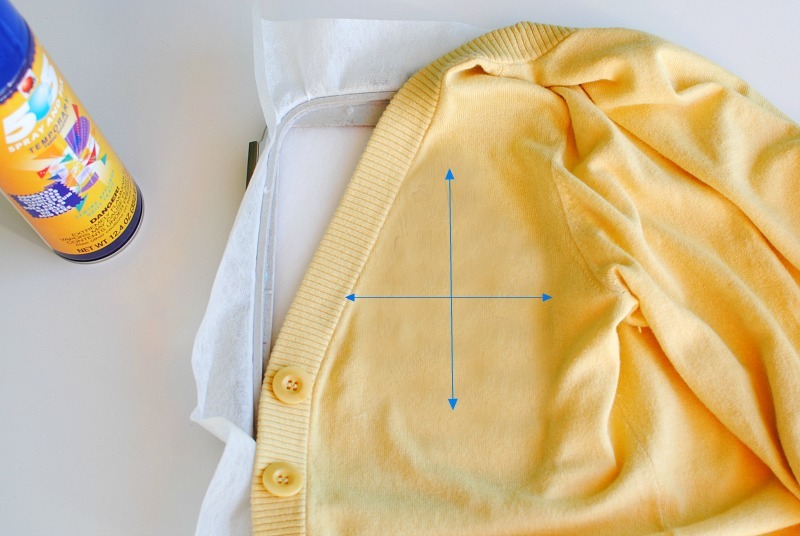 I always mark with a fabric marking tool the center of the design with a cross. That way even if my hooping isn't perfectly centered I can adjust with my machine based on my markings. **In collaboration with Embroidery Online. Looks like the embroidery design was made for this dress only. It looks super cute. I can't wait to try something new. You’ve covered almost everything in one post. Thanks for this, great job! I am excited to go and try these tips. You are so talented! I love it. I just loved the way you explain things. I am keen reader of your blog! Amaaaaazing post. I am very impressed of your work. Keep up the great work! killed it! Can’t believe I made it into your post, keep 'em coming! I have never ever read such interesting blog before, this is it! Thanks for sharing! This is so fantastic. Thank you for such a generous resource! Amazing resource! This will make it so easy for us, thanks for sharing! Thank for taking the time to put this awesome guide together for the community. Greatly appreciated! I always love yellow shirts, they look very fresh! I love how you put the embroidery idea in that jacket. keep on posting! Thank you for this.